Very much appreciate this learned article on Natya and Rasa. So nice to finally get the views of our dhaarmik experts on nruthya and sangeetha, who don’t just teach and preach, but practice and protect the sacred traditions. We go to arangetrams merely thinking of the dance or the devotion, but now we can understand the full artistry and aesthetics that has been mastered. Truly a treasure to read for anyone with roots in Bhaarath. Indian art is an explosion of colour and diversity and looks seemingly chaotic on the outside but on the inside, its so much a movement towards perfection and refinement and intricate movement at that. Prakruti ji has very convincingly elaborated how Bharatanatyam follows all other expressions in Indian sanskriti in aiming for the experience of the supreme. Art is never just an indulgence of the senses. Its aim is to purify, to refine, to take one to the higher planes of consciousness. All art and indeed everything in Bharatiya sanskriti is inextricably linked to the integral unity that pervades all creation and holds it in delicate equilibrium. This sentence, “Rasa is not guaranteed in any given artistic work. It is something that must be carefully generated and is born only if meticulously chosen conditions arise in a dance performance.” captures the work that goes into a Bharatanatyam exposition. And if one is incapable of generating that rasa, dance as an expression of the yearning for the Supreme state fails and becomes just a mechanical movement of the limbs. The author has done a stupendous job and am sure TCP will have more sumptuous and significant contributions from her in future. TCP has clearly discovered a rare talent that can hold forth in both words and deed on what defines Bharatiya art and the experience of the aesthetic. All the best Prakruti ji! thanks for your insightful and generous feedback. TCP is grateful to Prakruti ji for writing this amazing book and article. Thank you, Nilambari-ji, for sharing your very perceptive observations and for your generous encouragement. Saskia Kersenboom based on the temple repertoire observes that there was a minimal effort to achieve aesthetic effect. (natyam.ru/tiru.html) while this article claims otherwise. Have also read that the this dance form wasnt for public enjoyment, as the author seems to suggest. Please clarify why this divergence from what the devadasis seem to have practiced. 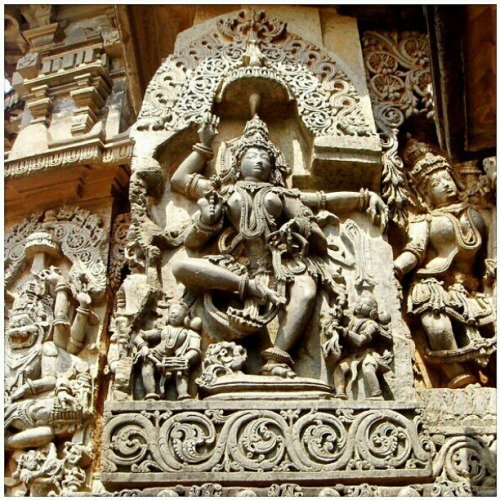 In this very thought-provoking and elegantly articulated essay on the Bharatanatyam and Rasa the author (Prakruti Prativadi) has explained with great clarity how and why natya indeed is yogic sadhana whereby the highest state of consciousness (moksha) first gets ’embodied’ within the dancer and which the dancer is able to transmit to a receptive (sahridaya) audience thanks to rasa (which the dancer and the audience are expected to share). 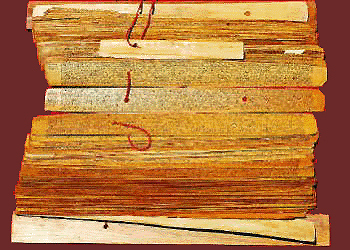 The author has done a masterful job of securely locating the Natyashastra within the Vedic worldview, as manifested through the performance of yajna, informing the reader that the four key elements of Natyaveda (the fifth veda)–recitation, music, abhinaya, and rasa are derived from the Rigveda, Samaveda, Yajurveda, and Atharvaveda respectively. I wish the author had also explained the component of puja, which along with yajna is an integral part of natya. Bharata refers to a number of rites or rituals that are performed as an essential and preliminary part of natya and that Bharata describes as ‘puja’ (not yajna)–for instance in the Purvaranga. It might therefore be more appropriate to describe the Bharatanatyam as a samnvaya of Veda and Agama, i.e. Vedagama. Thank you Dr. Tilak-ji, I am grateful and very honored that you took the time to read and also comment on the article. As you noted sir, the purvaranga is a very important and integral part of the performance and signifies what the dance embodies. Thanks for the kind suggestion, in my next post I will examine this aspect and how it still is a significant feature of Bharatanatyam performances today. Thank you again! I am a faculty in philosophy and am writing a chapter on the principles of the Bharatanatyam dance philosophy. 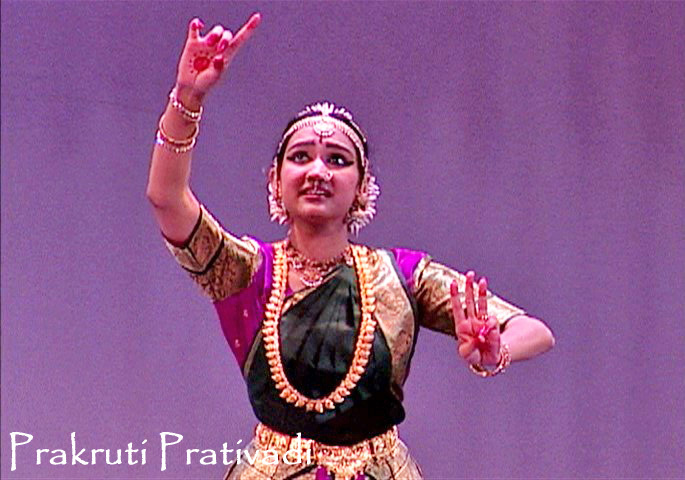 There were a few details about Bharatanatyam that I would like to clarify. Would it be possible to get in touch directly with Prakruti Prativadi over email? I have read parts of her book and found it to be highly insightful and informative.